In the days that followed his appointment, Andrews communicated regularly with the acting Minister of Justice, Arthur Meighen, through telegrams and letters. This correspondence, secured from Department of Justice files in the National Archives under the Access to Information Act by the Legal Research Institute at the University of Manitoba, constitutes an important new source on the federal government’s response to the Winnipeg General Strike. It is more varied and extensive in content than the disclosures made by Peter Heenan in 1926 concerning federal government activities in Winnipeg in 1919. In particular, this material illuminates Andrews’ central role in the conflict and provides a detailed record of the reaction of Andrews and other opponents of the strike to various developments through late May and June, 1919. As well, the letters and telegrams to Andrews from Meighen reveal the thinking of the acting Minister of Justice on the central decisions of the federal authorities in the campaign against the strike. An introduction and index to these papers is available. See Ken Kehler & Alvin Esau, Famous Manitoba Trials-Research Source. Winnipeg: Legal Research Institute of the University of Manitoba, 1990. 1. Meighen to Andrews, May 26, 1919. National Archives of Canada, RG 13, Access 87-88/103: A-1688, Pocket #1. 2. House of Commons Debates, 1926, vol. 4, pp. 4004-4009. The situation here yesterday was so critical that I had not one minute to spare to write you. It was one o’clock before I was through my work, the last thing being the writing out of a proclamation for the Mayor prohibiting any parades today. Yesterday morning there was a parade of probably eight hundred returned soldiers, strike sympathizers, who paraded the streets with banners copied from the returned soldiers loyal to Constitution who paraded the day before. The loyal returned men held a meeting in the auditorium rink which was filled to capacity, probably five thousand present. These men were very much excited at the action of the strikers in pulling out the men in the milk and bread industries and were threatening to wreck the Labor Temple crowd. It was decided that the city should call upon the returned men to furnish 2,000 additional police. The Mayor and several of the officers succeeded in persuading the loyalists not to go to the Labor Temple and about twelve hundred have been sworn in as special police, about fifty of them being mounted. By a miracle the two parades escaped a clash but at the City Hall when about fifteen hundred of the loyal returned men reached there to be sworn in there were a great number of fights. The police who sympathise [sic] with the strikers arrested a number of our prominent citizens but did not arrest any of the strikers. Numerous instances have come to the Mayor’s attention where assaults have taken place by strike sympathizers upon citizens and even upon girls and newsboys, and though the police were present, they refused to interfere. As a result of the police action the Labor News points out that the strikers are peaceable and law-abiding, as none of them have been arrested, but that those opposed to them are disturbers of the peace. The occurrences of the last two or three days have very much incensed our citizens particularly the uniformed militia, loyal returned soldiers, our volunteer firemen and other volunteer workers. The citizens Committee in a body yesterday waited on the Attorney-General and other members of the Government, General Ketchen, Commissioner Perry and Col. Starnes. Mr. Pitblado, Mr. Godfrey and Mr. Anderson presented a resolution unanimously carried, (I was not present) urging the Attorney General to take immediate action to punish the strike leaders for calling out the Bread and Milk employees. They pointed out that this Committee stood for law and order; that the constitution was being openly affronted and that they and the citizens generally protested strongly against the inactivity of the Government in their enforcement of law; that if the Government did not take action the returned soldiers and citizens who were indignant could no longer be held in check and would take the law in their own hands; that they were doing all they could to restrain these men but feared they would get beyond control. These gentlemen certainly put up a very strong case. 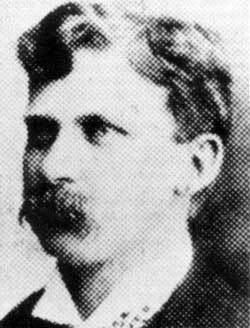 Commissioner Perry pointed out that the situation was not a local situation; that so far the strike was being gradually broken; that the arrest of the leaders would be a challenge or would be considered a challenge to organized labor throughout Canada and he felt sure a situation would follow that the government was not prepared as yet to meet. The Premier and General Ketchen agreed absolutely with the view expressed by Commissioner Perry. Commissioner Perry made a statement that amendments to the Immigration Act were being passed which would enable him to deport any undesirables not Canadian born. This statement partially satisfied the Committee. Commissioner Perry through General Ketchen addressed the loyal returned soldiers this morning assuring them that legislation was being passed that would fully satisfy them. Your telegram this morning giving the text of the legislation is as I explained in my telegram most disappointing. It practically only deals with the unnaturalized alien. When I informed Commissioner Perry of the provisions of the law as passed he felt that he has been very much deceived. He believed that he could deport any undesirables save Canadian born, that is he could deport them whether they came from Great Britain or elsewhere and aliens whether naturalized or not. General Ketchen who read your telegram to me, feels also very much disappointed and feels that he has unintentionally deceived the returned men. I have purposely refrained from communicating to any member of the Citizen’s Committee or any one save General Ketchen, Commissioner Perry, the Attorney General, Mr. Pitblado and Mr. Coyne, the contents of your telegram in the hope that there is some further amendment that is set forth in your wire, or that the necessary legislation can immediately be passed. I ought to say that I also permitted Mr. Beatty, president of the C.P.R. to read your telegram and he promised to urge immediate action by the government. Now I must give you my view as to the arrest of the strike leaders at the present time. This general strike was intended to show the absolute power of labor and the program as outlined to me by president Winning was first to call a general strike in Winnipeg. If this did not accomplish their purpose, to have a general strike in every city in Canada, particularly the west and if that was not sufficient, to stop the running of all trains. The idea of the one big union and what it was intended to accomplish by way of revolution, was not to call out the general strike until the 1st of October when the necessity of moving the grain, coal, etc., would paralyze the whole country. Owing to the prompt action of the citizens of Winnipeg the strike has failed of its purpose. Their next step also failed because the strike in other cities has either not taken place or has been of trifling importance. They find they cannot stop the trains. This has all been accomplished by accepting the challenge of labor and showing they cannot paralyse all industries. So far it has been done without the aid of force or the intervention of the law in any form. If we can only keep our supporters in line and continue on we will have business generally being carried on as usual. The Attorney General assured the Citizens Committee that it is the intention of the government at the proper time to punish the strike leaders and we have all been trying to collect sufficient evidence for this purpose. I do not believe the time has yet arrived, I believe if this strike fails, as I believe it will fail, of itself, and because public opinion is against it, it will be exceedingly difficult at any future time to get the large body of labor to strike. They will have suffered so much that their natural impulse will be to blame the strike leaders. If we arrest the strike leaders now and this results in breaking the strike, labor will always claims [sic] that they would have won but for the intervention of the Government controlled by the master class. What I most fear is, that the. immediate effect of arresting the strike leaders now will be that all organized labor will consider this as a challenge to them and that we will not only have to fight the present strikers but all organized labor including the Great International Craft Unions. I discussed the matter at length with Mr. Beatty and Mr. Coleman of the C.P.R., and they are absolutely of the same opinion as myself. Both Mr. Beatty and Mr. Coleman feel satisfied if these men are arrested now, the Running Trades will go out and the result will be alarming. Mr. Beatty has just come from the Coast, and is also well informed on the situation here as well as in Western towns. He is strongly of the belief that the back of this strike is broken unless some new element is introduced to rally the strike sympathizers. In conclusion this is a matter purely for the Attorney General and not your department unless you are strongly of the view that the Attorney General has taken the wrong course and that you should interfere and I strongly recommend that you leave the responsibility for this matter were it is. If adequate provisions were enacted by Parliament to enable your officers to deport the class of undesirables that should be deported, very much could be done to stem the tide of revolution. This ought to be done at once. I have wired today to Senator Robertson explaining a new and dangerous phase of the strike situation. Senator Robertson stated before our Committee he was satisfied that the Running Trades would decide that the view he expressed of Collective Bargaining was all that could be expected of the Metal Trades Employers, which I understand to be practically what Senator Robertson considered proper. When this proposal was presented the Conciliation Committee of the Running Trades stated that it was quite satisfactory to them and went much further than they had expected. This proposal was forwarded to the Strike Committee, who laughed at it and told the Running Trades to get off the job. The Conciliation Committee however, being actuated I believe as labor politicians, with the view that if they sided with labor, whether their decision was accepted by the employers or not, that they could say to their union men, that they had done all they could, that they were in favor of the sympathetic strike and probably hold them in line and prevent them from striking. The one thing that they have been afraid of is the desertion of their numbers to the One Big Union. Accordingly they decided upon an ultimatum which they submitted to the employers and the Strike Committee. On reading this you will see it concedes practically all the strikers had asked for. It compels the employers to deal directly with the Metal Trades Council. I do not think that the employers will be able to accept this decision and the net result will be to probably greatly strengthen the strikers. This is a situation that in my opinion we require the help of Senator Robertson and our Citizens’s Committee have asked me to wire him to come at once which I have done. I hope if he has not already left, you will urge him to come at once. Another phase of the situation is this. It is reported here that the Dominion Trades and Labour Council officials are coming here to take charge of the strike. The newspapers are not being sent out of Winnipeg with the exception of the Labor News. I believe the true facts are not known outside Winnipeg. It is quite likely therefore that these officials will come here with prejudiced views. I do not know whether there is any way of Senator Robertson or his deputy informing them of the real facts or not, but if so it should be done. Furthermore some steps should be taken to inform the people outside Winnipeg of the true situation here. If the Government can do anything to assist in this it should be done. 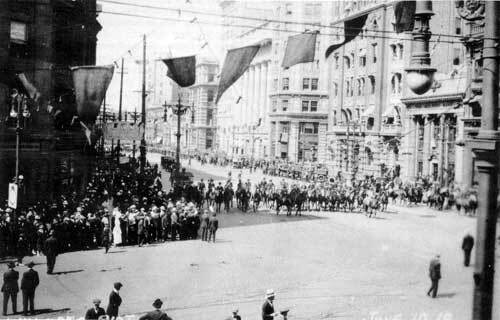 Winnipeg General Strike, 10 June 1919 looking north from Portage and Main. The last couple of days I have been absolutely too busy to write. The definite stand taken in the Labor News Strike Bulletin of Thursday and Friday wherein the Special Police were called “thugs,” and it was openly boasted that policemen’s batons, revolvers and other articles were on exhibition at the Labor Temple as trophies of Tuesday’s fight, convinced me that some strong measures should be taken to punish the wrong doers. After the exercise by Senator Robertson of a masterful diplomacy, with the assistance of the railway managers and heads of the railway organizations, the Metal Employers openly declared their attitude on Collective Bargaining accepting the interpretation in its entirety that Senator Robertson and the Railway Managers and Labor Organizations had placed upon it. 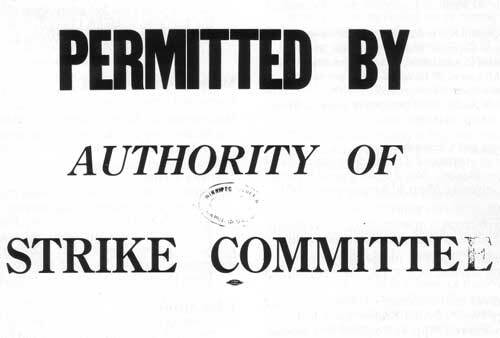 This was announced on Monday and the Strike Committee ought to have announced that there was no longer any necessity for a sympathetic strike, but Russell appeared before the Mediation Committee and stated that nothing but the recognition of the Metal Trades Council and their sole right to negotiate agreements would be accepted by the Strike Committee. It appears that Mr. Hudson and Mr. Symington representing the local Government, negotiated with Mr. Winning and another member of the Strike Committee for the appointment of Judge Robson as a sole Commissioner to inquire into the causes and conduct of the strike in the hope that if this was done the strike would be declared off. At the suggestion of Senator Robertson I was preparing for a general raid and arrests Monday night. The local situation was this. The special police had notified their officers that unless something was done to assert the city’s authority (there having been no attempt in the meantime made to place the police back on the streets), they would resign from the service. These special police are most of them business men who are not working for the pay that is offered but from patriotism. The same situation was true of one thou-sand and more of our workers and with our volunteer militiamen in the barracks. The inaction of the authorities had so disheartened them that they were all ready to resign and had already commenced to fall off in numbers. We staged the matter for 2 o’clock Tuesday morning. Pursuant to arrangements previously made we were all conferring at the Mounted Police Barracks perfecting our arrangements. Informations were sworn out and warrants issued and search warrants to search the Labor Temple, Liberty Hall and other places pointed out by Col. Starnes. While we were there Mr. Norris and Mr. Johnson came down and saw Senator Robertson and told him that they had definite information that the Strike Committee was meeting the General Committee of Three Hundred at the Labor Temple and they were having an all night session and that they were trying to get the strike called off, and they advised that we postpone the raid until the following night. It looked to Senator Robertson and myself as if it might possibly be better to do this. If we were faced by the additional problem of not knowing where to take the men when arrested where they could be safely kept, we thought it might be a good thing to put it off for another night but after careful consideration it was decided that Senator Robertson and I would go out to the Penitentiary and arrange with the Warden to receive the prisoners when arrested. We had an agent in the meeting at the Labor Temple who was to inform us of what was going on there. Accordingly Senator Robertson and I went out to Stoney Mountain over very rough roads and arranged with the warden to receive the prisoners. When we returned it was about half past one, we found that Premier Norris had been deceived, the meeting at the Labor Temple had been adjourned and the matter of calling off the strike had never even been discussed. We therefore determined to carry out our original plan particularly as we had all our force lined up. Chief Newton and Col. Starnes carefully planned the operations using about 500 men for the purpose of guarding the Labor Temple while the search was being made, and the other places that were to be searched. It was a little after 4 o’clock with the last posse left the Mounted Police Barracks. I got home about 4:30. The whole matter was arranged with splendid precision and we arrested some nine of those on the list including Russell, Ivens, Queen, Heaps, and Armstrong. I realized from the first the technical point as to the Penitentiary being or not being an Immigration Station within the meaning of the Immigration Act but considering the interpretation of Immigration Station I am of the opinion that it probably is to as soon as any one is detained there by order of the Minister. In any event I do not see how this point can ever arise for the following reason. These men were all legally arrested and are now in custody under criminal charges of seditious conspiracy and publishing seditious libel and I think the evidence will be forthcoming to convict the majority of them on these charges. The order for their detention under the Immigration Act is only being used as an extra precaution against the accused being allowed out on bail. In order to guard against their being released on bail before your order came, I went out yesterday with a warrant on an additional charge and a Mounted Policeman was to remain at the Penitentiary and arrest these men if they were allowed out on bail. I took the magistrate with me and adjourned the cases until the 25th inst. and while there I had it arranged that the Medical officer ascertain the birthplace of each of these men and this point, which may have been difficult to prove is now out of the way when the Board of Inquiry meets. The men will be held under the original warrant until the Board of Inquiry has ordered their deportation or the reverse. My plan is to deport all that are deportable and to try the balance on whatever charges we think will warrant their conviction. The action of the Government has met with the approval I believe of all of our citizens. I do not know what stand Premier Norris may be taking officially but he has expressed to Senator Robertson and myself his entire approval of what has been done, particularly in taking the men to Stoney Mountain rather than placing them in the Provincial Goal as he feared a lot of trouble. The roads were so bad yesterday that although we got through, Mr. Murray who represents them was not able to get to the Penitentiary. As soon as the Board of Inquiry arrives I intend to arrange for an early meeting of the Board at Stoney Mountain where the inquiry can take place and I will urge expedition in disposing of the deportation of these men. I was very much surprised and disappointed at the editorial in the Free Press criticizing our action. I am led to believe this editorial which appeared on Tuesday morning was written under the impression that what Norris had stated to Senator Robertson the night before, was the true situation and the Free Press now finds it difficult to alter its position. I am perfectly satisfied that if Premier Norris is to proceed with his program the arrest of these men would be a help and not a hindrance, although the contrary opinion was apparently held by the Free Press, probably Judge Robson, and the strikers who will be very glad to see this view put forward by one of the leading newspapers. A few street cars are running today without molestation and the point men are out on duty also unmolested. I never saw such an exhibition of cowardice and fear as those arrested men displayed and the condition today which is very quiet, I am satisfied was induced by prompt action in arresting these strike leaders. A few minutes and the manager of the Farmers Advocate told me his men had come back to work he believed, as a direct result of our action in arresting the men and I have reason to believe that large numbers of the railway employees and others are now going back to work as they have seen an exhibition of the strong arm of the law. In any event I have done what Senator Robertson had approved in every particular, with a strong conviction that the course I have taken is the wisest and best. I have a large force of lawyers including Mr. Pitblado, Mr. Henderson, Mr. Coyne, Mr. Sweatman, Mr. Williams, and one or two others going through the papers we took from the various places that were searched and I have reason to believe the evidence secured will materially aid our purpose. I will write you more fully about this when I get a report on just what we have. I am satisfied there is nothing your Government has done in its existence that has pleased more law abiding citizens than their action in connection with these arrests. The only criticism I have heard in the West of the Government in the past has been what was though their lack of firmness and your action in connection with the postal service and the action of Senator Robertson throughout has inspired the admiration and confidence of all law abiding citizens here and I believe throughout Canada. I am trying to keep you posted by wire and letters as the matter progresses. You will understand how the situation changes almost hourly and each must be dealt with as it arises. There is no opportunity with the telegraph service as it exists today, of getting instructions from you before taking action. I hope therefore you will rely on the combined judgement of Senator Robertson and myself in dealing with each matter as it comes up. You may rely on my never overlooking the fact that you will be blamed for any of the mistakes that I make and I therefore have mind and will continue to try to be as cautious as possible. Mr. Murray has been very anxious to get bail for his clients but Commissioner Perry agrees with Senator Robertson and myself that this would be a fatal error and would be interpreted as weakness although the accused have all promised to refrain from taking any part in the strike or attending any meetings until the strike is over if we will allow them their liberty. The last few days I have had no time to write. You will learned [sic] through the reports of the General and other officials here, a pretty accurate [sic] of the riots and events of the last few days. I was very severely criticized for announcing that the strike leaders arrested would be tried on criminal charges, the deportation proceedings being delayed in the meantime. As the charge of sedition was only punishable by two years imprisonment it seemed to me only fair that these men should be allowed out on bail if their being let out was not likely to precipitate riots or trouble. Accordingly I allowed them out on $2,000 bail each, two sureties of $1,000 and obtained an understanding from each man that he would take no part in the strike, the undertaking being in the following form: “We the undersigned hereby undertake that if we are released on bail we will withdraw our connection from the Strike Committee and will not attend any meetings or take any part in the strike. We understand that if we violate this undertaking you are at liberty to rearrest us forthwith. We also undertake to refrain from public speaking, interviews with the newspapers and other utterances until after our trial.” I also obtained an undertaking from the Strike Committee that there would be no jubilation over the release of these men. You will realize that it will be much harder to legally deport under the Immigration Act than to convict of sedition, assuming that the Board of Inquiry acted purely in a judicial capacity. Again I felt it was the fair thing to give these people a trial by jury if they so desired and bail followed as a matter of course as the situation then stood. You will also bear in mind that at the interview at which bail was arranged there were present, Commissioner Perry, Senator Robertson, Mr. Murray, counsel for the Trades and Labour Council, and a large deputation from the Strike Committee. These latter assured us that the offer of the Metal Trades Employers was satisfactory to them and that they were prepared to recommend the calling off of the sympathetic strike. It appeared to everybody that if these men were let out on bail it would relieve the situation and help the smaller committee to induce the larger committee to call the strike off and we felt the strike would be ended within forty-eight hours. Those who falsely suggest that my leniency was the cause of the riot on Saturday know very little of the situation. Meetings had been called to protest against keeping these men in gaol without bail and all the strikers were demanding bail. When the men were released on bail the Strike Committee, and this has been proven by reports from our secret agent, did all in their power to prevent the parades which on this account were confined to a much smaller number than if they had been swelled by the strikers who were demanding the release of these men on bail. There is no question in the world the riot would have been much worse if I had taken any other course. On the other hand had this riot occurred after we had refused to allow these men bail, while I would not have justified the action of the rioters, there would have been many people throughout Canada who would have blamed the Government for their action in furnishing provocation for this riot, which would have been considered high handed conduct. As it is the Government has done everything in its power consistent with the demands of justice to give these men fair treatment. I have, however, learned some lessons by what has occurred. In an article in the Labor News Bulletin, after making the arrangement they did, they criticized me severely for letting these men out on bail. This was a direct violation of their undertaking and Mr. Murray, their counsel, had pointed this out to them before it was published. The action of these men I regret to say has convinced me that they are wholly without honor and can only be dealt with by the sternest methods. They do not understand that it is possible that one can be influenced to do anything from a sense of fairness, any concession to them is treated as evidence of weakness. When these men were arrested they whined and shivered like curs. As soon as they got out on bail they became very brave. On Saturday Senator Robertson became convinced that the Labor News Bulletin should be suppressed. Accordingly he wired the Secretary of State for instructions. I was doubtful if this could be done under the Order in Council and was not surprised when an answer came by wire that it could not be done. The issue of Monday, however, was so seditious and so calculated to incite further riot that as I informed you by wire, I saw the publishers who were personal friends of mine and good citizens, and they asked me to give them a notice that further publication of the Strike Bulletin must cease. In order, therefore, to prevent the commission of further crimes of this character and further inciting the people to riot, I instructed them to issue no further publication of the Strike Bulletin. They furnished me with manuscripts of the articles that had appeared in the Bulletin and I made out an information for the arrest of Woodsworth the editor and went down to see Phillips and Graham who were handling the matter for the Provincial government and they undertook the prosecution and obtained the manuscript copies from the publishers, arrested Woodsworth and also issued a warrant for the arrest of Dixon who wrote a good many of these articles. All of the newspapers here and the public generally approve of this paper being stopped. I have told the publishers, however, that provided there is nothing seditious in the regular edition of the Labor News which is issued by the Trades and Labor Council, there is no reason why they should not continue publication of it, but they must assume responsibility of seeing that there are no seditious articles published. I may add that I find the majority of the people I speak to express approval of my action in letting these men out on bail. The question now naturally comes up as to how we should treat Pritchard. I was waited on by some of his friends from the West and they could not see why he should not be allowed out on bail. I will take this matter up in view of your telegram and we will decide this point within the next couple of days. The men who are out on bail complain of some interview of yours which I have not seen, as being unfair to them and want to be released from their parole which I think has been pretty honestly observed. I had their case remanded until Friday but I will consider the matter of re-arresting them if they insist on breaking their parole, or else increase their bail. I will discuss this with my associates and decide what is the best course to take. The Citizens’ Committee and citizens generally are very much concerned over the action of the Provincial Government in arranging with the strikers to appoint Judge Robson as Commissioner in inquiry into the causes and conduct of the strike. We had today a confidential report from a man who has been found very reliable, who is on the strike committee and he reported that the Provincial Government had entered into an agreement with them that if they called off the strike, this commission would be appointed. I enclose a copy of the “Enlightener” a new paper issued by the Strike Committee which as you will observe says that the condition in calling off the strike is that the commission is to make a thorough investigation regarding the reinstatement of all workers. A committee of citizens is now waiting on the Government with respect to this. It is felt that this will be a very great mistake, as according to our confidential report, the leaders have represented that the strike is ended, that the men are going back to work in shoals and that by this means they will be able to hold their organization together and call another strike later on and this seems to be likely if the Provincial Government carry out their agreement. It was for this reason I wired you that I thought it would be wise if the Dominion Government appointed a Commission who had the right to take evidence anywhere throughout Canada and who could thoroughly go into the causes of this strike, particularly in so far as the One Big Union, which is revolutionary in its nature, is concerned. You will have learned from Senator Robertson that we are having searches made throughout Canada for further evidence of a revolutionary character, on the recommendation of Commissioner Perry. The Commissioner is arranging to have this all done at one time and couriers and mounted police have been sent to various points for this purpose. Permit poster issued by the Winnipeg Trades and Labour Council during the Winnipeg General Strike, 1919.